We are delighted to have been ranked again as Tier 1 in The Legal 500 (Licensing) and Band 1 in the 2018 Chambers Guide. For 29 years, The Legal 500 has been analysing the capabilities of law firms across the world, with a comprehensive research programme revised and updated every year to bring the most up-to-date vision of the global legal market. Our Licensing Director, Jack Cummins, who has specialised in the field for over 35 years, is a leading lawyer in The Legal 500 and a Star Individual in Chambers. Jack, who is the author of Greens annotated version of the Licensing (Scotland) Act 2005, contributes to trade and legal periodicals and speaks regularly at licensing conferences. In addition to this, Audrey Junner has retained her ranking as a Band 1 Licensing Solicitor in the Chambers Guide and for the first time, Peter Lawson has been ranked as a Band 2 in the Chambers Guide. Audrey joined the practice in 2007 and is a Partner and head of our Licensing Division. Audrey specialises in all types of licensing work across industry sectors and handles a range of licensing matters, including gambling, civic government and liquor work. Peter is head of our Commercial Property department. He joined Hill Brown in 1989 having previously been a partner in the Ayrshire firm, McSherry Halliday. Peter is a leading licensing lawyer, quoted in Chambers directory of legal experts. 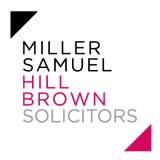 Miller Samuel Hill Brown is led by some of Scotland’s best licensing lawyers. Our licensing team has provided specialist advice to some of the biggest names in the licensed trade for over 65 years. Our client portfolio spans all market sectors, including pubs, restaurants, nightclubs and supermarket chains and extends to liquor, civic and gambling licensing across Scotland. Contact us on 0141 221 1919 or fill in our online contact form.